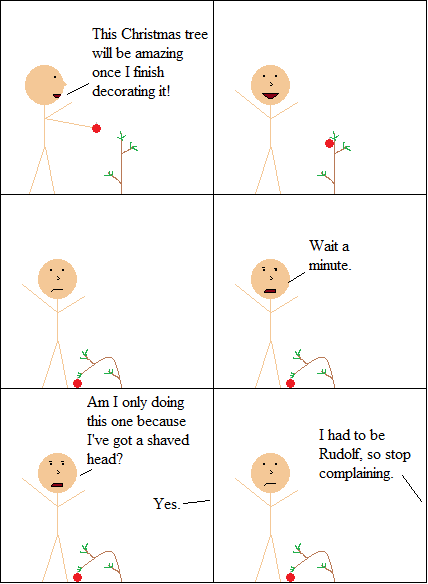 Inspired By True Events - Christmas is Coming Part 2: I bet that tree has termites, too. Christmas is Coming Part 2: I bet that tree has termites, too. I don’t think my characters are going to like the next few days of comics. I’ve still got to get Yont, Comedy and Baba into Christmastly relevant positions, as well as try to tie in Hanukkah somehow. Wish me luck, imaginary readers!